The BBC has defended its coverage of World Book Night after a group of authors complained about the "sneering tone levelled at commercial fiction". Fantasy author Stephen Hunt organised a letter to the BBC director general Mark Thompson, which was signed by 85 authors including Iain M Banks. The authors said a programme titled The Books We Really Read was "sneering". But the BBC said it was "committed to delivering a broad range of books programmes across radio and TV." In the letter to the BBC, Hunt wrote: "The sneering tone that was levelled towards commercial fiction during The Books We Really Read was deeply counterproductive to the night's aims of actually encouraging people to read novels." "The weight that was given to the single sub-genre of literary fiction in the remaining programmes was unbalanced and unrepresentative of all but a small fraction of the country's reading tastes," he added. Authors who signed the letter included science fiction writer Michael Moorcock, crime novelist SJ Bolton and children's authors Tamora Pierce and Debi Gliori. A BBC spokesperson said its broad fiction coverage ranged from "The Books We Really Read, an irreverent but enthusiastic authored film, to the Culture Show's forthcoming science fiction coverage in May and a new Book Review Show later in the year." 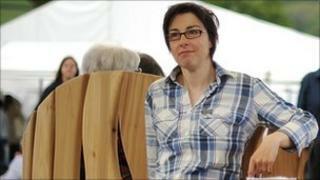 The Books We Really Read, fronted by comic and TV presenter Sue Perkins, was one of several programmes and other films which celebrated a wide range of books beyond the World Book Night list. The list of books handed out to the public on World Book Night included authors such as Marian Keyes, Philip Pullman and John le Carre although, in his letter, Hunt said the BBC did not touch on Pullman's nominated work, Northern Lights. The BBC coverage also included interviews with Sarah Waters and Margaret Atwood - some of Atwood's work, including The Handmaid's Tale, has been described as science fiction. One million books were given away across the UK and Ireland for the event, which took place on 5 March. They were distributed at venues including homeless centres, pubs and hospitals in a bid to boost reading.